Nestled in amongst soaring mountain peaks and endless river valleys, Castlegar, British Columbia is the perfect base for a wide range of outdoor activities. Many visitors are drawn to Castlegar in particular because of the opportunity to ski or snow board some of Western Canada’s best mountain runs. 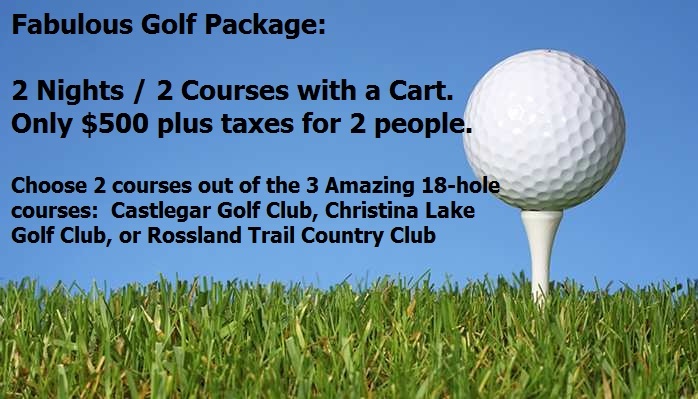 But, if skiing or snow boarding is not for you, Castlegar also boasts some of the best golf courses in our province. Whatever your passion, we have the package for you. 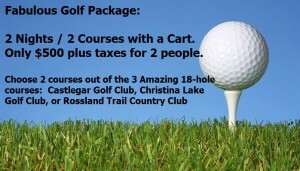 Check back with us regularly for seasonal specials and promotions which highlight Castlegar’s “Best of the Outdoors”!